Honda is set to unveil its first-ever electrified SUV powertrain at the upcoming Frankfurt Motor Show. 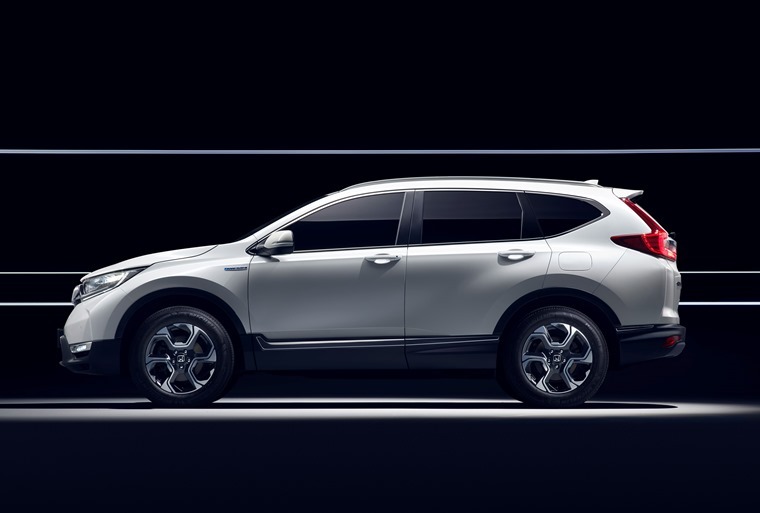 The CR-V hybrid prototype represents the first time that the all-new CR-V has been shown at a European motor show. It retains the familiar silhouette of the previous models with a revised styling that previews the forthcoming European CR-V model range. 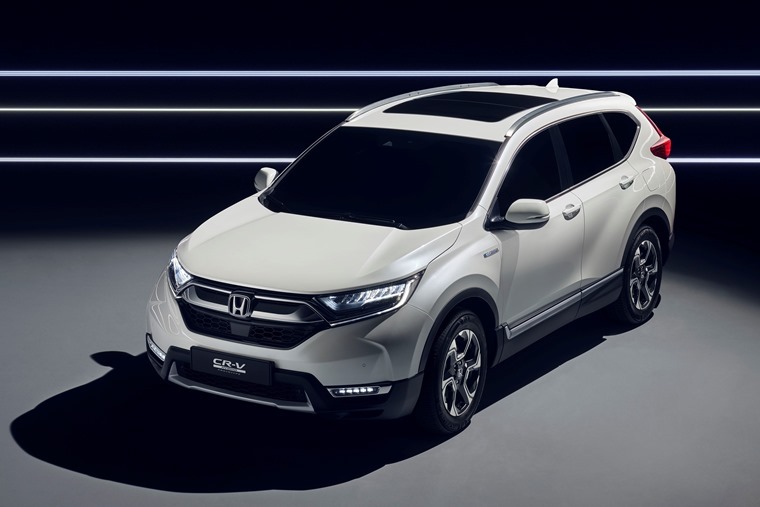 Wider, taller and longer than the previous version, the new CR-V has fresh exterior styling with a wider stance through the broader wheel arches. The new SUV achieves a balance of elegance and athleticism, with thinner A-pillars that increase the shoulder volume of the car, but also a larger wheel and tyre combination. Sharper contours are present on the bonnet and rear quarters, and the nose incorporates the latest Honda family ‘face’ with its signature headlight graphic. 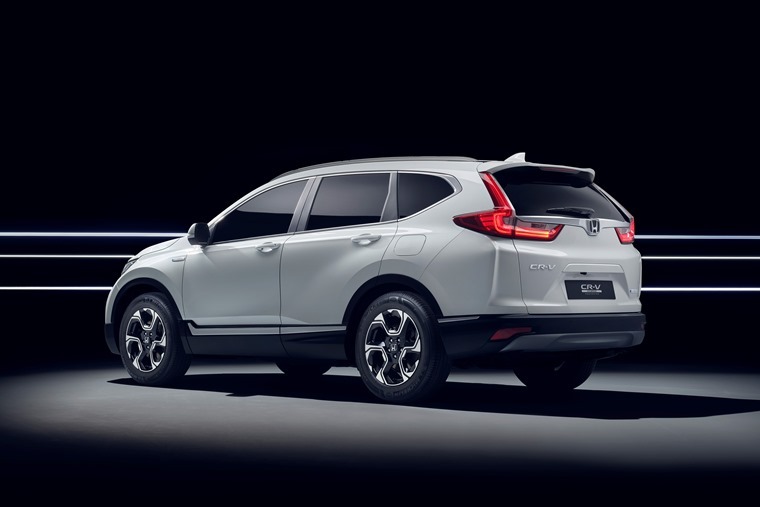 The two-motor i-MMD (Intelligent Multi-Mode Drive) system in the CR-V hybrid prototype comprises an electric propulsion motor, a 2.0-litre i-VTEC four-cylinder petrol engine for electrical energy generation and propulsion, and a separate electric generator motor. The hybrid system does not need a conventional transmission, fitted instead with a single fixed-gear ratio that creates a direct connection between moving components, enabling a smooth transfer of torque within the system. In EV Drive, the propulsion motor draws its power solely from the batteries, delivering zero-emissions driving. In Hybrid Drive, the petrol engine supplies power to the electric generator motor which in turn delivers power to the electric propulsion motor. In this mode, excess power from the petrol engine is diverted back via the generator motor to recharge the battery pack. In Engine Drive, the wheels are directly driven by the petrol engine, with an on-demand peak power ‘boost’ available from the electric propulsion motor. In most urban driving situations, the vehicle will move between Hybrid Drive and EV Drive for optimum efficiency. Engine Drive is engaged as needed for brisk acceleration and for efficient motorway driving. The 2018 CR-V will also be specified with Honda’s 1.5 litre VTEC TURBO petrol engine, with a choice of either 6-speed manual or continuously variable ‘CVT’ transmission. 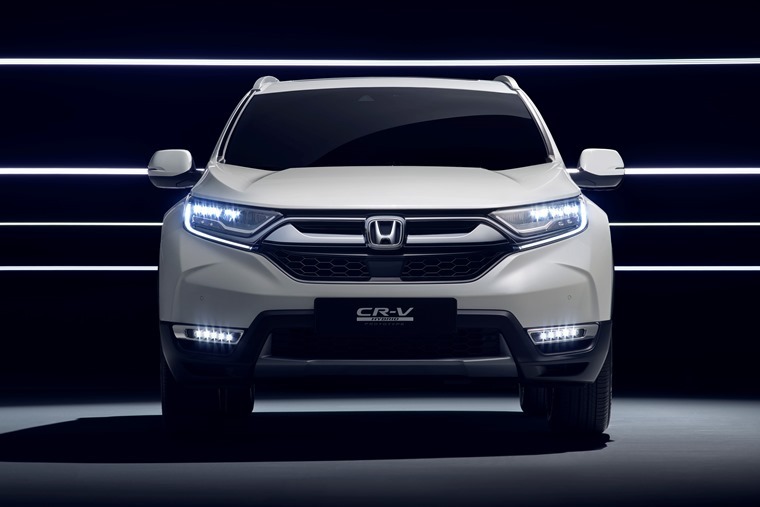 Perhaps most interestingly, the all-new CR-V will not feature a diesel powertrain in European markets. Following its reveal at the Frankfurt Motor Show, the new SUV will be officially launched in Europe in 2018.